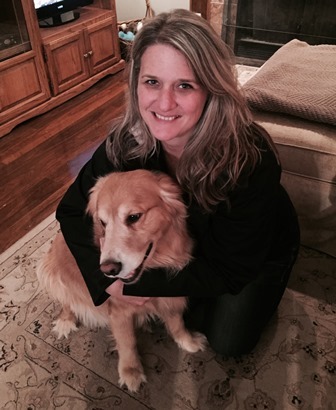 Julie DeMaar has lived in Glen Ellyn for over 20 years with her husband and two children. Daughter in college and son in the United States Air Force. They are proud owners of their 8 year old dog, Payton, who loves being walked down by Lake Ellyn. Julie started working for Comfort Paws in October 2012. Kathy Edwards lives in Glen Ellyn. She is a former NYC High School teacher who is caring for her elderly mother. She has been a pet owner of cats and dogs for years but currently does not have a pet but plans to open her heart to another in the near future. She enjoys cooking, baseball, watching Jeopardy, politics, reading and music. She is also a huge Stevie Nicks fan! Kathy started working for Comfort Paws in January 2013. Kim Roy lives with her husband and two teenage daughters in Carol Stream. Kim has lived and raised pets her entire life. Currently the Roy household is busy with 9 year old beagle, Cooper, 3 year old Golden Retriever, Drake, and 9 year old domestic short haired cat, Dash. Kim enjoys road trips to see her favorite bands, photography and boating on Lake Delevan, Wi. Kim started with Comfort Paws in August 2015. Lori Otey grew up in Glen Ellyn, but currently lives in Wheaton. You may see her as a volunteer archery ranger with DuPage Forest Preserve. She also is an avid bicycle rider. She rides the RAGBRAI every year. She currently does not have any pets but keeps 50 bee hives throughout DuPage County area. If you are looking for fresh honey you can contact Lori at: Lori@TwoBeekeepers.com. Lori started with Comfort Paws in November of 2014.